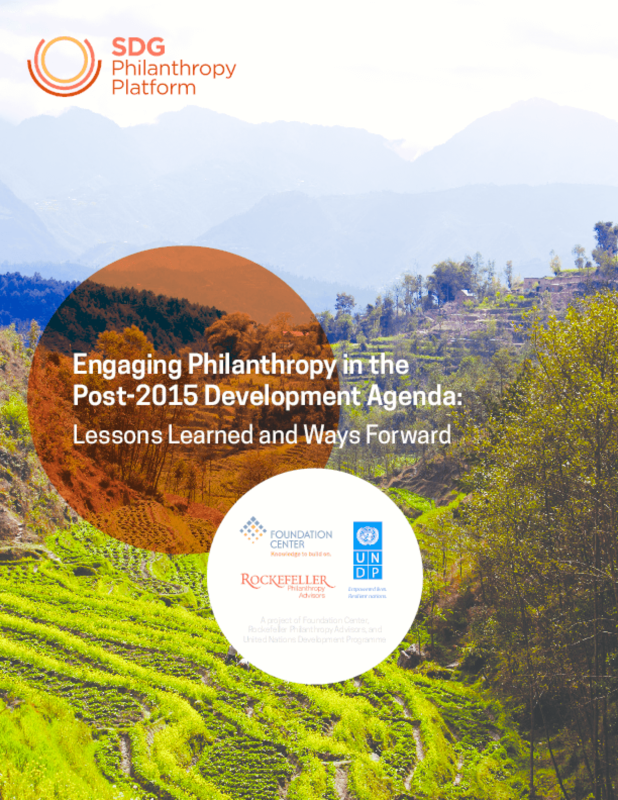 A clear track has been created for philanthropy to engage more deeply and in a more unified manner with the UN-led SDG process through concerted advocacy, communications and awareness-raising strategies. Progress has been made towards creating a global knowledge base around philanthropy's significant role in development initiatives around the world. Credible strides have been made in developing a data repository on philanthropic giving.